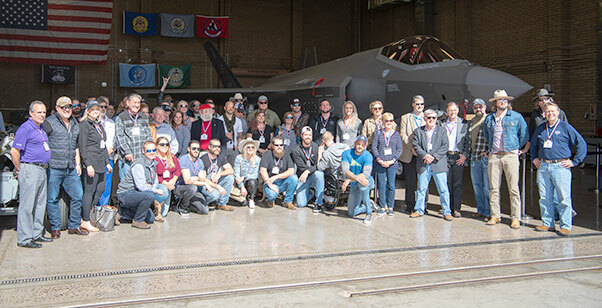 Members of the Airpower Foundation pose for a group photo in front of an F-35A Lightning II, March 8, 2019 at Luke Air Force Base, Ariz. Tour members included two Medal of Honor recipients, five Purple Heart recipients and an assortment of veterans from every branch of the military. 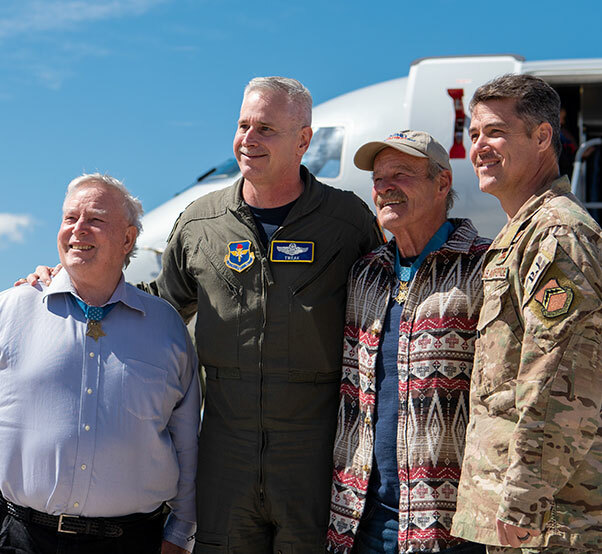 Medal of Honor recipients Donald Ballard and John Baca pose for a photo with Col. Michael Richardson, 56th Fighter Wing vice commander and Chief Master Sgt. 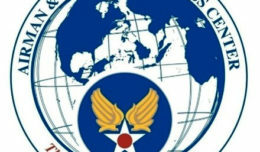 Ronald Thompson, 56th FW command chief, March 8, 2019 at Luke Air Force Base, Ariz. Ballard and Baca visited the base with the Airpower Foundation, a non-profit organization that supports wounded warriors, veterans and children who have lost parents in a war. Brig. 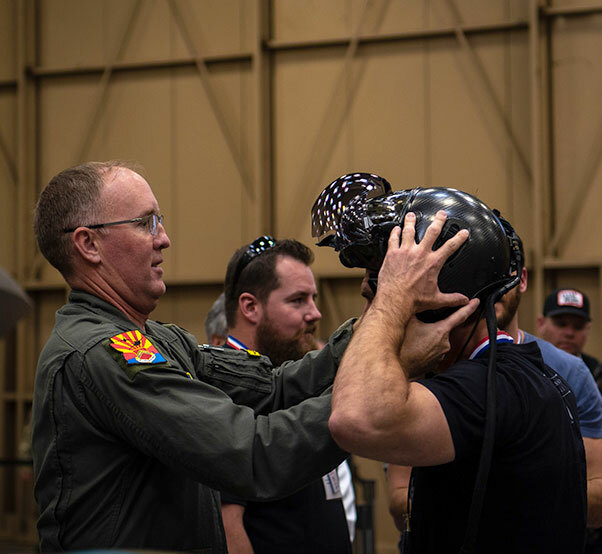 Gen. Todd Canterbury, 56th Fighter Wing commander, places his F-35A Lightning II helmet on an Airpower Foundation member during a base tour, March 8, 2019 at Luke Air Force Base, Ariz. 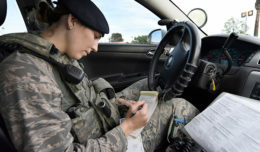 The foundation visited multiple locations at Luke including the F-35 Academic Training Center and the 56th Maintenance Group weapons standardization to learn more about the wing mission of training the world’s greatest fighter pilots and combat ready Airmen.